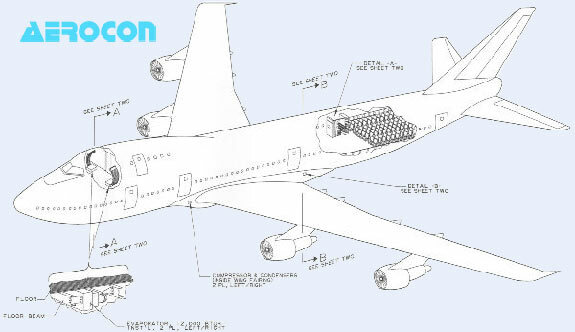 Aerocon can design custom air conditioning (environmental control) systems for a variety of aircraft. Typical requirements are humidification, de-humidification, filtering, noise reduction, and thermal control. Our on-staff Air Conditioning DER ensures that designs can be implemented and certified rapidly. Many systems are currently in use, worldwide. The system operates from the auxiliary power unit (APU) or main engine generator, and requires no ground equipment. It is effective even on hot and humid days. Aerocon's superior design is quiet, lightweight, small, and extremely reliable. Components are built to military specifications, and parts support is guaranteed. The operational performance of the vapor cycle system may be varied as a function of the volume of cooling air required and other aircraft electrical requirements. The system can be operated from an auxiliary power unit (APU), ground power unit (GPU), or the main engine electrical generating system. The following table shows characteristics for the above configuration. Cooling performance 30ºf Temperature drop between inlet and distribution duct outlet. AEROCON’S Air-Flow Control and Shut-Off Valve is installed on modified aircraft to provide supplemental avionics cooling. Meets and exceeds applicable FAA and EASA regulations. 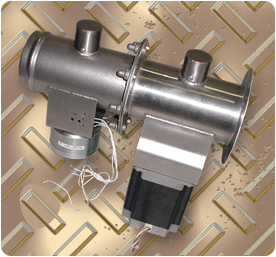 Electronically controlled, electric motor actuated butterfly type valve. 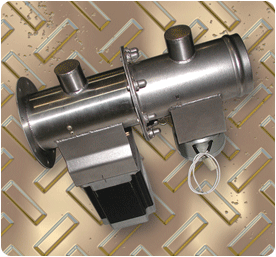 Controls include operation for full open, full closed, and automatic constant mass flow. Provides a constant 18 + / - 2 lb. / min airflow during ground and flight conditions. Note: airflow exiting the valve is discharged into an unpressurized compartment or ducted to avionics located in the unpressurized compartment.